This heavy-duty braided fleece toy has a comfortable handle on one end and a dog-pleasing "frenzy mop" on the other. 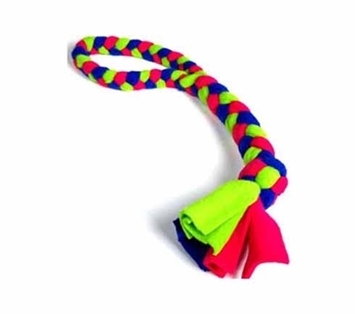 Strips of multicolored fleece swing at the end of this 24" long toy, adding lots of visual excitement to tugging games. 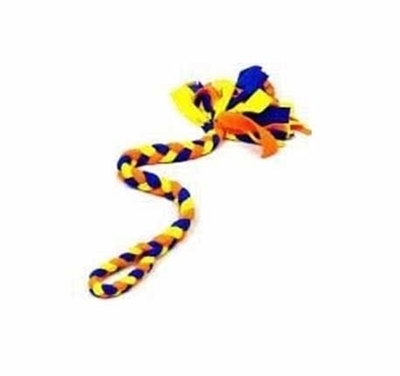 Great for sight stimulated dogs, you can wiggle it, drag it, toss it, or tug with it. 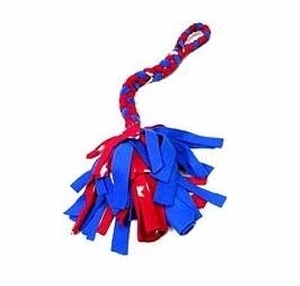 This is a large, durable, toy that your dog will love! Available in King Size or our Super King size! 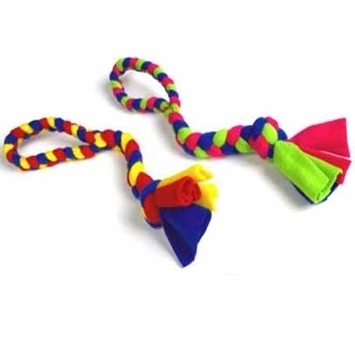 Comes in assorted colors, please let us choose the color for you. Machine washable.